Most of us take it for granted that we can go #1 or #2 into a lovely porcelain throne, press a lever, and the messy details are taken care of. But for an estimated 2.5 billion people worldwide, a commode is a hole in the ground—at best. And that hole isn't just smelly; it's a source of disease. Here's a roundup of some promising toilet-related technologies that could make pooping safe for the world. All are prototypes today, but could be ready for business soon. System diagram of the poop blaster (technically, "Porta-toilet Facility"). How it works: the Caltech design works at the processing end of a conventional toilet/urinal setup. First, waste flows into a holding tank that starts a bacterial digestion process (yes, gross). 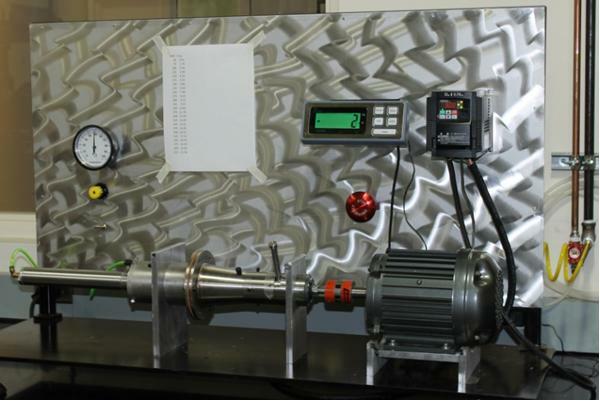 Then, the waste flows into a a 40-liter electrochemical reactor that uses electrodes to convert it into hydrogen gas. From there, the hydrogen can be used in fuel cells—handy if you have to do your business at night, when the solar array won't produce any juice. 2. Don't Cross the Streams! 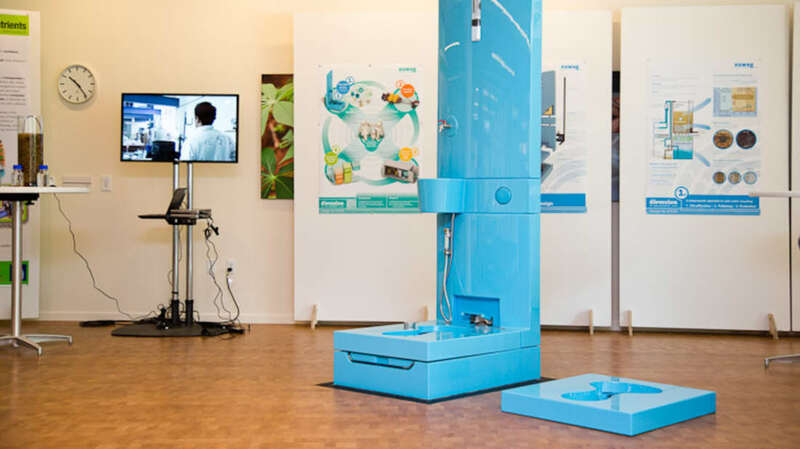 This "three-stream" toilet separates urine and feces using a clever mechanical process. How it works: When you squat over the toilet, it automatically swivels open and becomes ready for business (this is decidedly unlike the "Honeybucket" open-air poop-pile model you may have experienced at outdoor events...). When you're finished, you work a foot-pump to flush the toilet, and can (optionally) observe your poop's progress through a clear plastic window. Because the waste streams (urine and feces) are separated, they can be treated independently, making the job of waste processing easier. The toilet also automatically recycles water used for flushing, and politely seals itself when you stand up. Researchers at Eawag (the Swiss Federal Institute of Aquatic Science and Technology) see this toilet being paired with a waste-processing system to make a complete solution for developing countries. Plus, they made their prototype a lovely light blue, making it an appealing place to take a pitstop. An Eawag toilet being installed in Uganda. Photo courtesy of EOOS/Eawag. 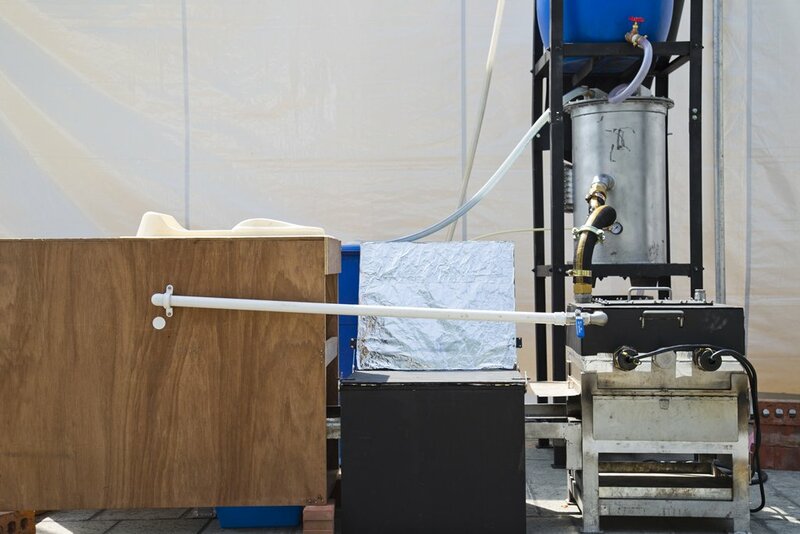 The Delft University of Technology made a proof-of-concept system that turns dried feces into hydrogen gas. How it works: First the poop is dried out, then it undergoes a plasma gasification process. Gasification is similar to plain old burning, but it happens at much higher temperatures—and with a different goal in mind. Plasma gasification happens at temperatures higher than 2,500°C (! ), when an electric current passes through a gas, creating plasma, which in turn is exposed to the pre-dried feces. What you get out the other side is primarily hydrogen, which is then stored in a fuel cell. Aside from the hydrogen fuel product, this technology is interesting because its super-high temperature promises to kill all pathogens in the feces. That's a big public health bonus! Researchers at the National University of Singapore focused on the power of pee for their urine-centric fertilizer-creation process. 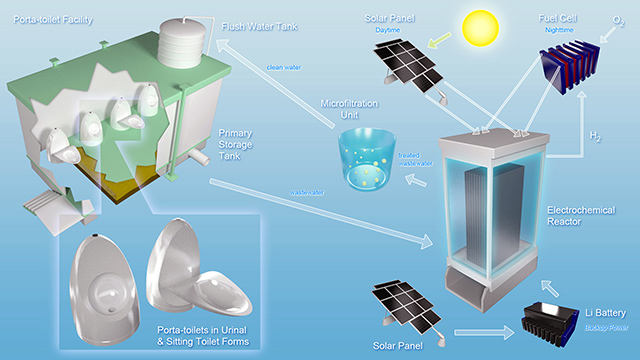 How it works: Using a urine-diversion toilet, urine is separated from feces. The feces is dried in a solar dryer and then burned. The heat from burning the feces evaporates the urine, which results in two key products: water and fertilizer (urine contains plenty of nitrogen, phosphorus, and potassium—unlike Brawndo, urine's got what plants crave). In the end, you have ash, water, and fertilizer, all of which can be used in agriculture. 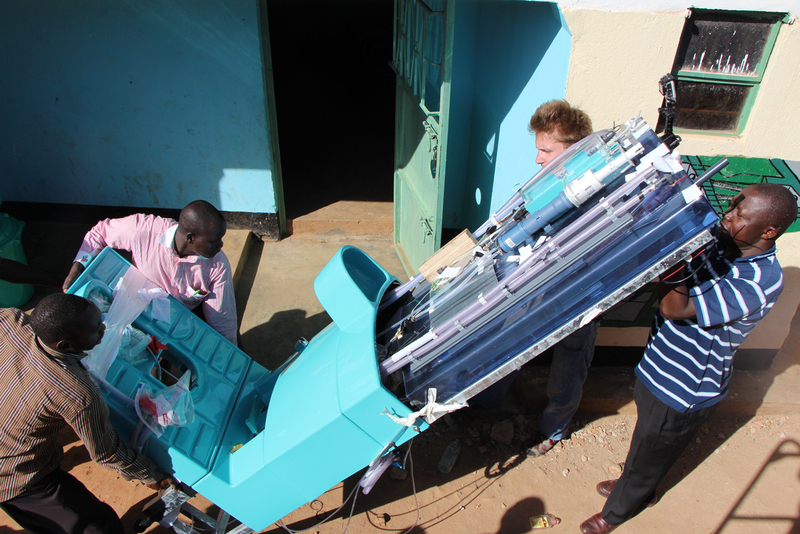 One key benefit of this system is that it doesn't require any electricity to operate—it's all manual. That's also arguably a drawback; running the whole thing by hand is a lot harder than many of the automated processes above. Then again, hey, free fertilizer! The National University of Singapore prototype. The prototype. If you watch the video below, you'll find out where in this contraption the poop goes in and comes out. Professor A.J. 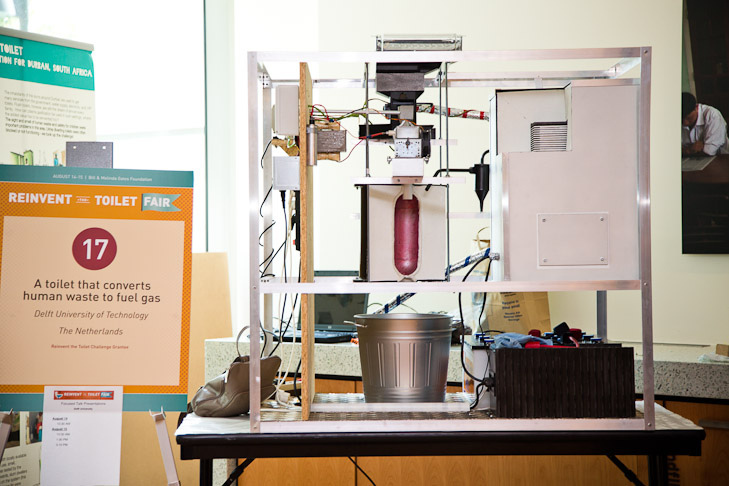 Johannes of Oklahoma State University led a research group to mechanically disinfect poop, making it safer to handle. Well, maybe not to handle, but to...deal with. How it works: Johannes explains, "Feces is a viscous substance. Heat is produced when viscous substances undergo shear." Johannes and his team created a machine in which a cone sits inside a shell; the design is akin to two ice cream cones stacked together. You insert the poop in the gap between the outer cone and the inner cone, rotate the cones, and the poop gets surprisingly hot (as high as 200°C just from shear force produced by rotation) as it passes through. That heat kills a lot of the hazardous stuff living in the poop, thus reducing disease risk from untreated waste. It's energy-efficient, because you simply have to turn the crank, rather than heat the poop directly.